The weather has been fantastic over the past few days. I've been a little too busy to step out and use this time of year to its full. Yesterday, I was in the city and I had my small camera with me. 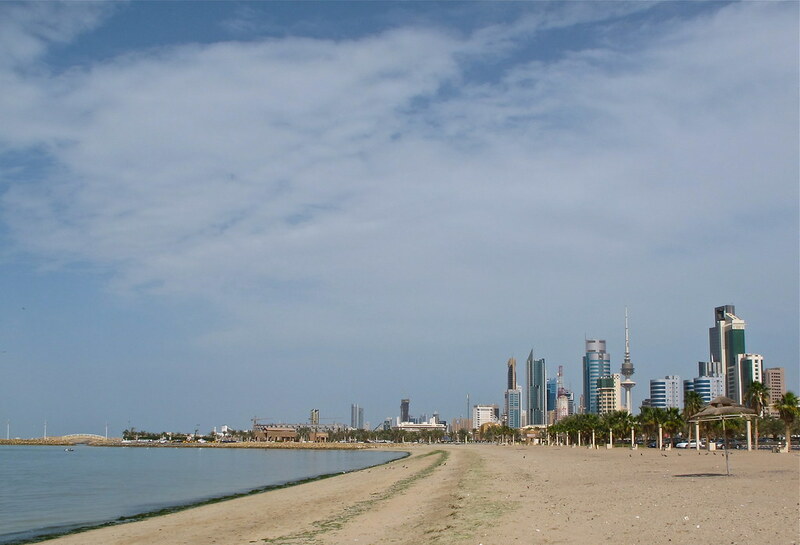 I took the coastal route to Shuwaikh - and stopped at one of my favourite photo locations: Shuwaikh Beach. It offers a wonderful vantage point, and the algae lines provide an interesting lead into the scene. Not a bad result, really, for a small camera... Have a look at the larger version. The Canon G11 must be the best point-and-shoot out there.